When you minize a window, use Alt+Tab or Flip 3D to swich between windows, the aero effects fly very fast! Wouldn’t be nice to show them off in slow motion? This tutorial will show you how to make your system unique by slowing down these popular aero effects. 1. Press Winkey+R to open up the Run window. 2. 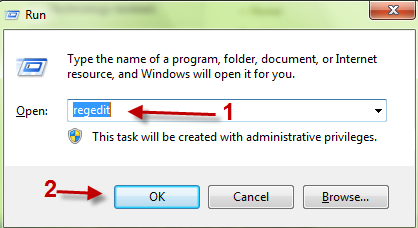 Type in regedit and hit OK to bring up the registry editor window. 4. Right-click on the right pane and choose New->DWORD (32-bit) Value. 5. Name the new key AnimationsShiftKey. 6. Double click on the new key and change its value to 1.Hit OK to close the box. 7. Restart the computer to take effect.